With over 30 years of dance experience, dancebespoke are on hand to help you achieve your goals from social dancers to competitors. Whether help is required with shuffling around the floor for that first Wedding Dance, improving those moves for your next Dinner Dance or training hard for competitions. Professional, friendly, clear and fun dance instruction for a range of abilities and levels of experience. Above all we want to promote dance as a fantastic form of physical and mental exercise for everyone. We hope to communicate our love of dance and try to inspire that passion in others. 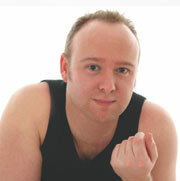 Steve is a professional teacher registered with the UKA and is DBS (CRB) Checked. Currently teaching Ballroom, Latin and other current dance styles at various venues in Cheshire and Staffordshire. Steve danced at international level including a successful career representing England as a junior competitor and was a UK finalist and World Semi-Finalist three years running.